Several weeks ago we decided to finally check out Smallman Galley in The Strip. Smallman Galley is a food hall that serves as a launch pad for new restaurant concepts in Pittsburgh. It showcases four restaurants at a time, has a full bar, and offers a coffee & espresso bar. We didn't check out the first four restaurant concepts. Smallman Galley is now on the second round of concepts: Iron Born (Detroit-style pizza), Brunoise (American), Colonia (Latin American), and Banhmilicious (Vietnamese). We found a spot at a table before SP went to order our food since having the wheelchair in the food ordering area seemed like a bit of a tight squeeze. He visited each restaurant station since we tried something from each place. He also visited the bar to get me a chardonnay and himself a beer (there also are bottles of water on the tables). As you can see from the above photo, we had a lot of numbers displayed on the table for servers to find us with our food. First to arrive was Croque Madame from Brunoise (ham, smoked swiss, dijon, bechamel, sunny side egg). The sauce was really good. I would have liked more ham on the sandwich. For me, personally, I would have liked my egg cooked a bit more but for SP, the egg was perfect. But that sauce - so good. Next to arrive was the food from Banhmilicious. This was all for SP. I don't remember exactly what he ordered. 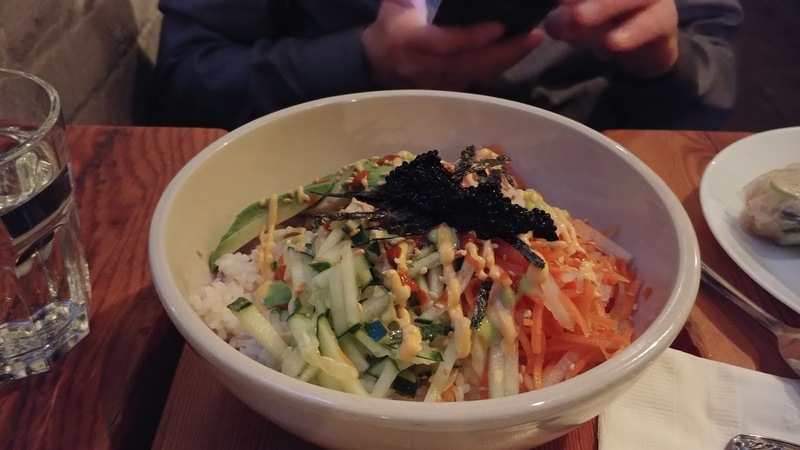 I think he had a rice bowl with smoked salmon, jasmine rice, pickled vegetables, cucumbers, and a sauce that he really liked. He also ordered these rolls. 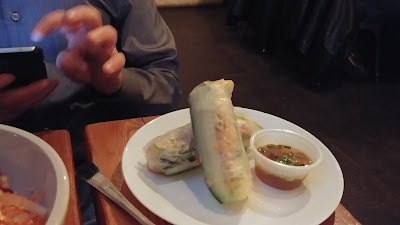 I think they were filled with rice noodles, carrot, cucumber, and there was a dipping sauce. He said they were yummy. I had been hearing an awful lot about the Detroit-style pizza from Iron Born. 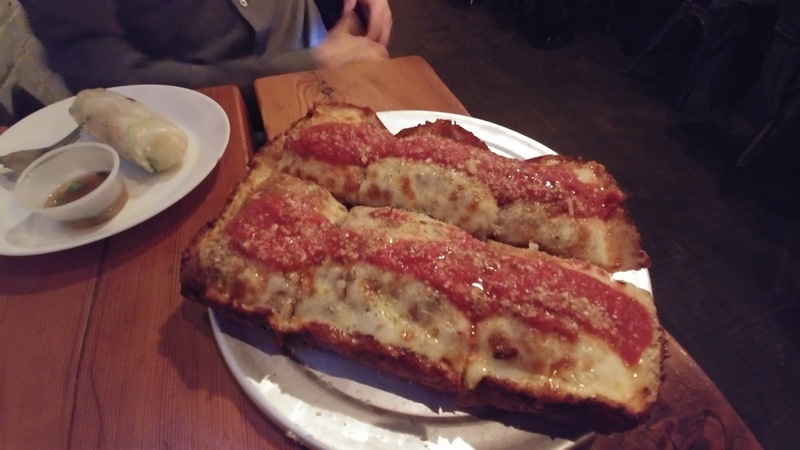 I didn't even know Detroit had a style of pizza. It has a crisp edge crust with cheddar cheese and while it looks like a lot of thick crust, it's a very light crust. Sort of spongy. Not spongy gross/flavorless like a certain pizza chain I enjoyed as a child but despise as an adult. Rather a spongy delicious and flavorful crust. The menu says the cheese was mozzarella-brick. The red sauce is on top the cheese. 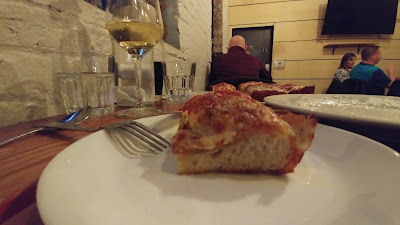 Side view of pizza. I liked it. Everyone has their personal favorite style of pizza and while this is not my personal favorite style of pizza, it is a darn tasty pizza that I would happily eat again. 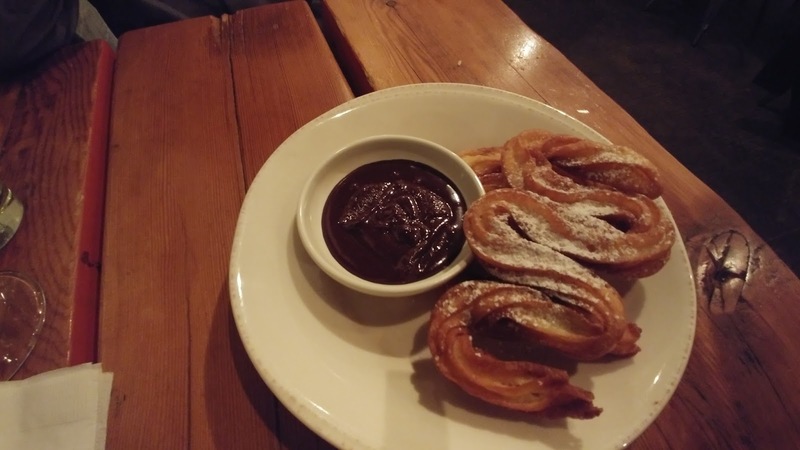 After the main meals, we decided we had to have churros from Colonia for dessert. They were a little thinner and crisper than other churros I've had but just as tasty. I liked the swirled, snake-like presentation and it made it easy for us to break off pieces for dipping in the chocolate sauce. 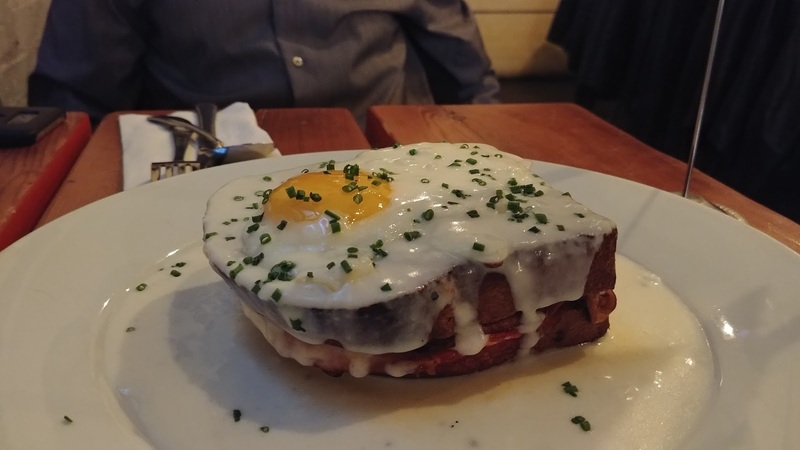 We enjoyed our food at Smallman Galley and would go back for these four restaurants or to try the next four whenever they change. I like that there are four different concepts. The people working there were very helpful, finding us a table that worked for the wheelchair and checking on us. They were very good at clearing empty plates. When I totaled the receipts from the four restaurants, I was a little surprised at how much we spent on food & drink. Then again, we over-ordered because we wanted to try a lot of dishes. Next time, I'd be a little less indulgent. 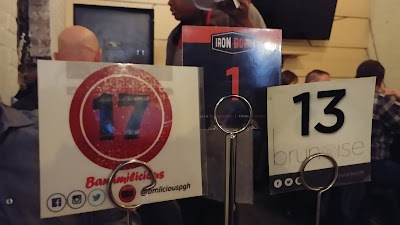 We ate the entire Croque Madame & all the churros but took home half the food from Banhmilicious and Iron Born, which made for a nice lunch on Sunday.